Smoothies have been my favorite way to start my work days for the last month. We've revived our very old blender, which until I convince Gary that we need to get the NutriBullet will have to work, or maybe not, so we will be forced to get it (see what I did there...)! I've been drinking the same smoothie adding in a few ingredients here and there, but the one I'm sharing today is my absolute favorite! I haven't started adding protein powders, chia seeds or anything fancy, but it's only a matter of time! 1 cup berry medley of sorts (frozen) 1 cup other mixed fruits (mango, peach and pineapple - frozen) 1 ripe banana 1 tablespoon of Greek Yogurt - plain - I LOVE Fage 1 handful of spinach and kale Drizzle a little honey to be mixed in - if you need extra sweetness 1 cup of water This will make enough for two full cups if you want to share! What I love about smoothies is that they are super easy - tasty and most of all filling for breakfast! What's your favorite combination for a smoothie? Nothing like a good smoothie!! I feel like it's a super way to get all the fruits and veggies I need in one swoop since I don't always get my 5 or more servings in a day. Your recipe is much like the way I make mine. I have yet to try a green detox but boy is it ever pretty, lol. Happy Tasty Tuesday!!! I love starting my day with a smoothie because I know I'm getting a lot of good nutrients! I never thought about combining the two types of frozen fruit--I'll have to try that the next time I have both types on hand! I think I might be making smoothies this summer for the whole family for breakfast. It's such a great way to start the day. these recipes are great! I love that you keep your smoothies nice and simple. They taste so good that way! I make mine almost the exact same. It's a great way to get some of your daily fruit intake! My very favourite these days is mango, lime, greens, coconut water, 1/2 a banana, greek yogurt and wait for it.... 1/2 lime's worth of juice.... so yummy and so refreshing. Yum your smoothie sounds so delicious!! I usually start out my mornings with a green smoothie and I always feel so healthy when I do! I used to make them in the morning but I've gotten so bad about grab and go Quest bars with coffee. I need to get better about making breakfast again. Spring is the best time for smoothies. I love the good sweet fruity ones. Oooh definitely going to try the mango avocado one! I absolutely love smoothies and can’t wait to try these! Your smoothie looks so delicious, Biana! It's weird because I love smoothies, but I'm never one to either crave or suggest them. Usually, my husband is the one who will randomly suggest we get one; he LOVES smoothies! I also never really made them at home, why? I don't know! Hopefully we'll be experiencing more warmer temps sooner rather than later, so that I can start making them at home, which you've totally inspired me to do, thank you! I hope you're having a great start to your week so far, beautiful, thanks so much for sharing! I've been thinking lately that I need to hop on the smoothie trend... I feel so behind! These recipes all sound super yummy to get started! I'm such a smoothie fan! These recipes are awesome, lady! What a good way to start your morning! Makes me want to dig out my own blender! YUM! Such a good way to get in a bunch of greens too! 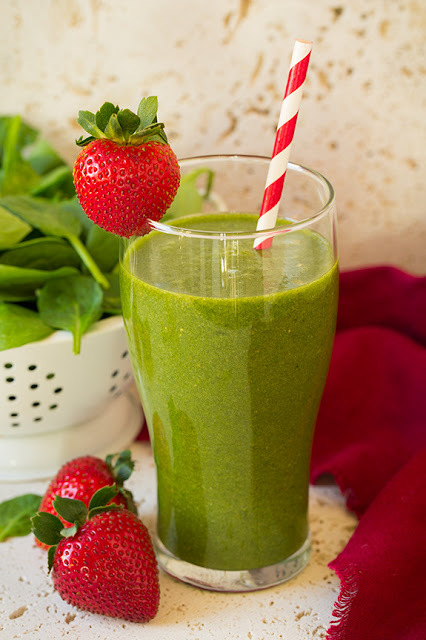 I love using spinach in fruity ones for that very reason! Sounds like a great way to start your morning! Yummy! I love smoothies in the morning! Sometimes I don't have time make them in the morning...wish I did. I make something very similar to this whenever I do...I use almond milk instead of water and don't add yogurt. I need to start adding some protein powder though. 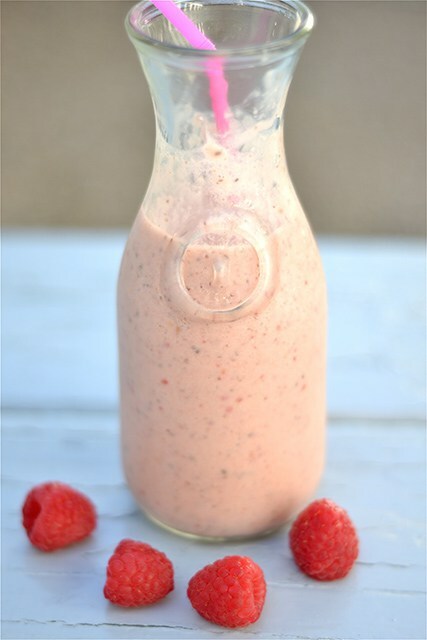 The raspberry peach smoothie sounds divine! We tried making smoothies a few years ago, but we never could keep on making them every morning. I think that we should definitely try again because this would be a great way to get our fruits and veggies in! Yum! Your smoothie looks so delicious and I love all the other ones you linked! 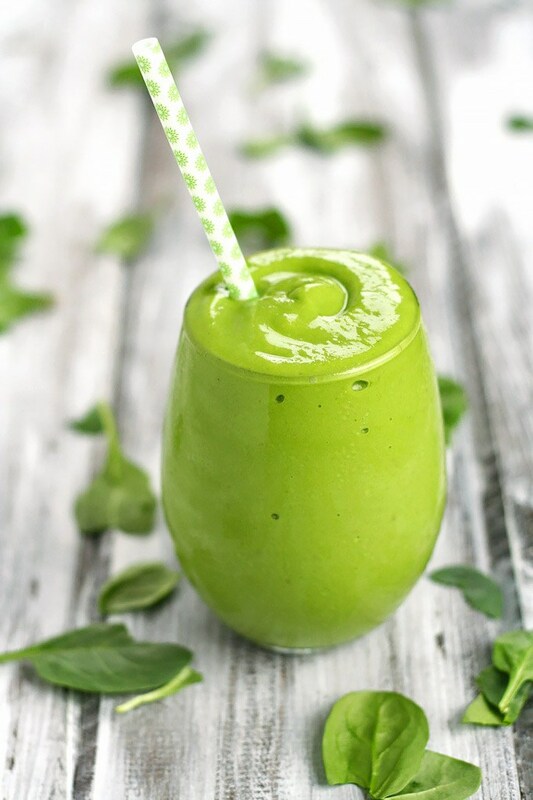 I have a smoothie post for next week, they are just my favorite! I love switching up the ingredients to create new flavors, it's so fun! Definitely need to check out this green one! MFD is big into the smoothies. I'll have to share some of these with him! I love smoothies, just never seem to get around to making them! Maybe that needs to change! 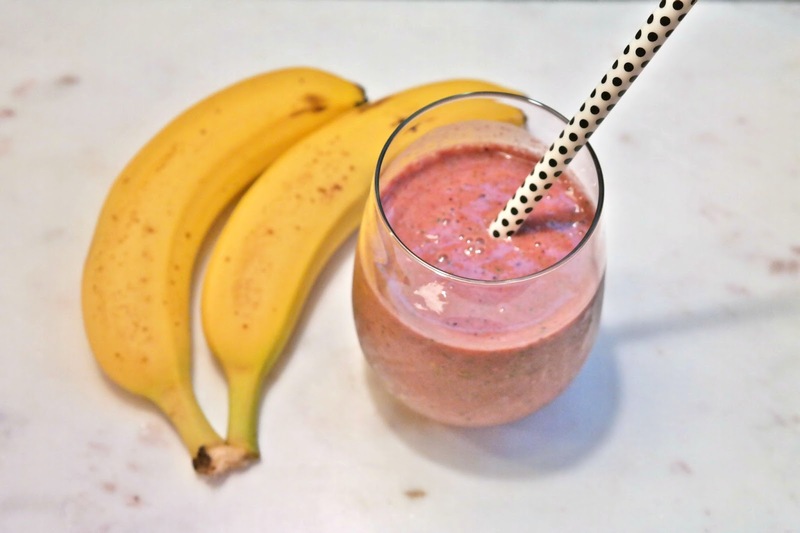 I'm a big smoothie girl and I make one every day for breakfast! So yummy! I want to try some of those green smoothies! YUM - thank you for this post! I'm always looking to switch up my morning smoothies. And, I advocate for you getting the Nutri Bullet, we love ours! I'm a big smoothie fan! I try to keep the portions 75%veggies, 25% fruit in order to keep the sugar content down! Yummy!! Juices and smoothies are my jam!! 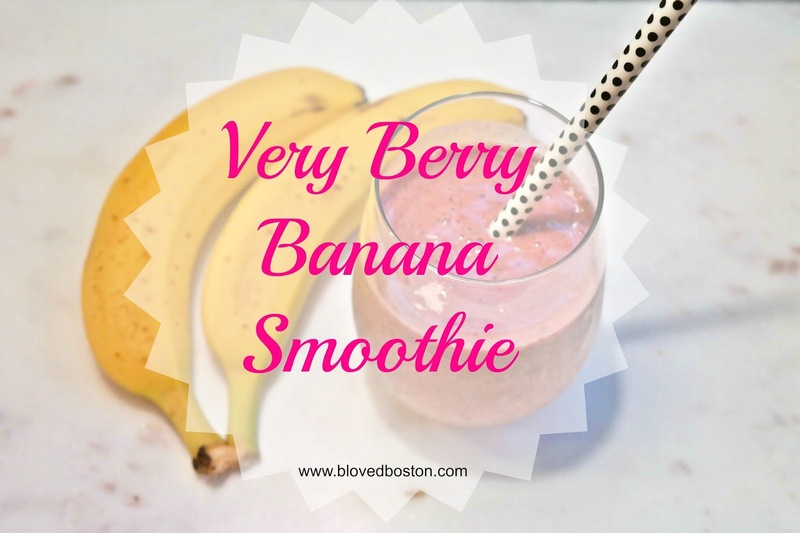 This is almost identical to the smoothie that I made for a snack almost every single day when I was on maternity leave with Olivia! The honey is my secret ingredient because it sweetens it up so well without having to use sugar! The best tip I've learned about making smoothies is to add coconut water! It's a little sweet, so it blocks some of the green flavor.. I can add twice as much kale or spinach when I use coconut water in place of regular water or almond milk. 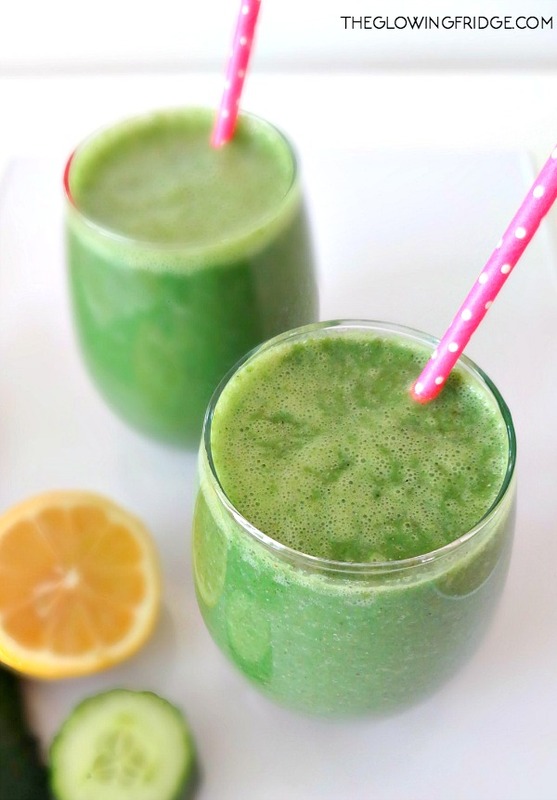 It's delicious and hydrating and perfect for summer! Love this recipe! Smoothies are definately one of my favourties however I am guilty of going for the already made ones by NAKED but I do make my own frequently. My favourites always have to contain almond milk and I love mango and raspberries within smoothies as well as the odd banana! I LOVE smoothies! This one is similar to what I do most of the time :) Yum! I want to try banana mango avocado. That looks amazing and I always like making them at home over buying them out. Yum-o! My smoothie recipe looks almost identical to yours except I substitute the greek yogurt for a frozen banana to add creaminess. 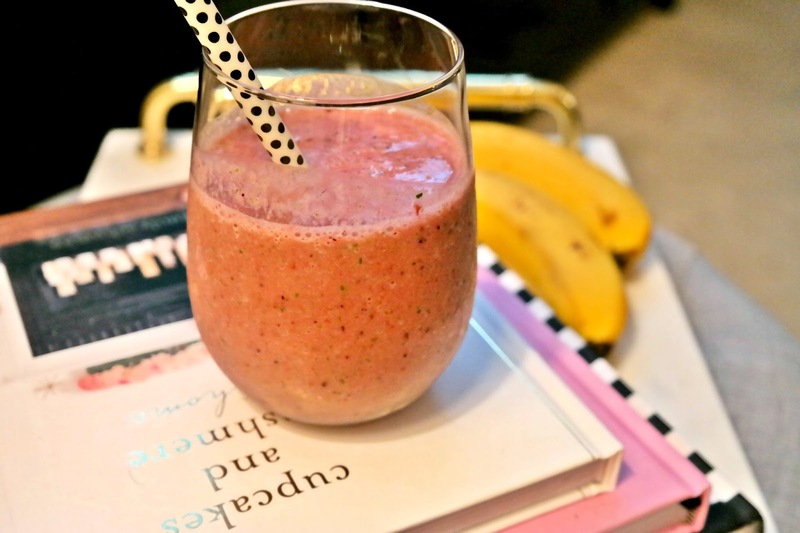 :) I always keep a ton of frozen fruit in my freezer because these quick smoothies like this are a great treat no matter what time of the day or season! I used to be so good about making smoothies everyday! I need to get back into that. I would put the greens in first with the liquid to make it extra fine. Loved banana/berry combos though! I've been all about the smoothies lately, and my go-to is very similar to your very berry banana...try throwing in some chia seeds, I promise you won't taste the difference! Derek makes just about the same one for us most mornings but I love the idea of adding a little honey in! I make a smoothie almost every morning and am always trying new variations. This sounds so good! Thanks for sharing! I absolutely love smoothies when the temps are warmer. I need to check out the smoothies you linked, I typically stick to the strawberry banana, but these others look and sound so yummy! Mmmmmm. This sounds amazing! I've been wanting to get on the smoothie train to try to get the little one to get some veggies in her belly! I need a ninja! I have destroyed three "cheap" blenders trying to make smoothies. (; My fiance isn't too happy about it. haha Green smoothies with kale and banana are my favorite! Yummy! We love smoothies in our family. Lately we've been doing a lot of peanut butter, chocolate, banana smoothies. This recipe sounds delicious! I love using frozen or fresh berries to make smoothies. The nutribullet works wonders to make smoothies and protein shakes! hmmm maybe i will need to magically make my blender stop working as well lol. this is very similar to the smoothie i make, spinach/banana/berries and milk (i've never tried water.. interesting). i also drink the entire thing haha. i sometimes add protein powder but eh. i went through a chia seeds phase but they get stuck in your teeth.. and flaxseed was super hard to clean off the blender. plus, lazy. too many ingredients and i won't make it! Have you ever tried using frozen bananas? My bananas go bad so fast I never think to use them in a smoothie...wondering if I froze them they would be good later for a smoothie when I'm craving one!? Either way, this looks fantastic! SO yum!! 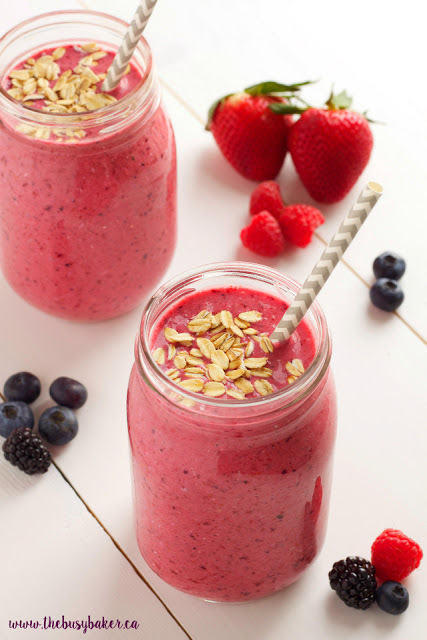 I am pinning this for later because I want to make your berry smoothie! The other ones you found look great too - especially that green detox! This sounds delicious! I'm loving smoothies since it's already so hot!